"Counter-attack is not magic. It is a pure science and a little bit of art. 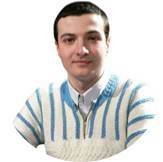 By learning how to counter-attack using IM Lilov’s methodology you will instantly turbo-charge both: your defensive and attacking skills." The main reason for that is the element of surprise it tends to deliver. Paired with the certain psychological moments of when an attacker turns into a defender, counter-attack can simply crush your opponents. Unfortunately, majority of club players never employ this powerful technique. 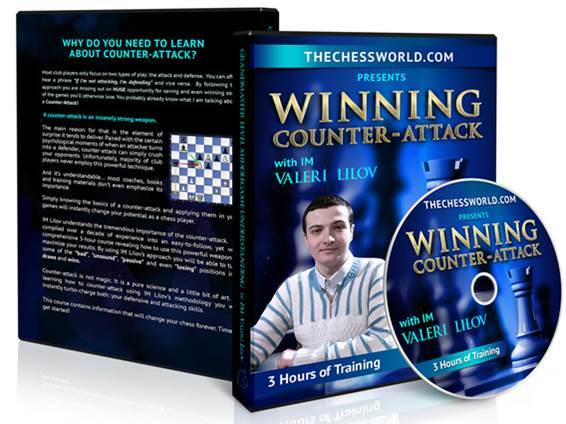 Instant download of 3-hour long Winning Counter-Attack video course with IM Valeri Lilov. 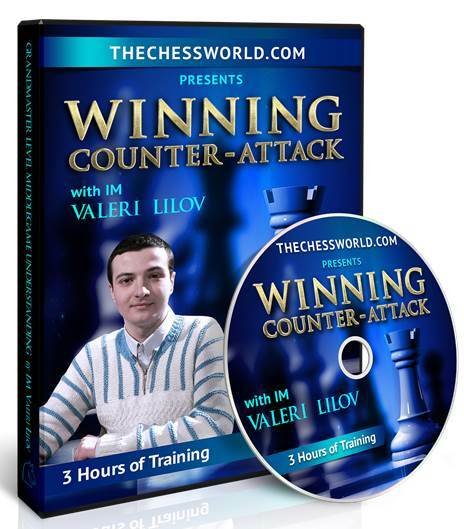 By learning how to counter-attack using IM Lilov’s methodology you will instantly turbo-charge both: your defensive and attacking skills. How to find brilliant counter-attacking moves in equal looking positions (in just few easy steps)? How to use the “tactical sequences” to launch winning counter-attacks?